Quilts from long ago capture our attention. The inspiration for this little gem comes from a similar small quilts owned by a friend. Her's dates back to the Civil War and is in pristine condition. 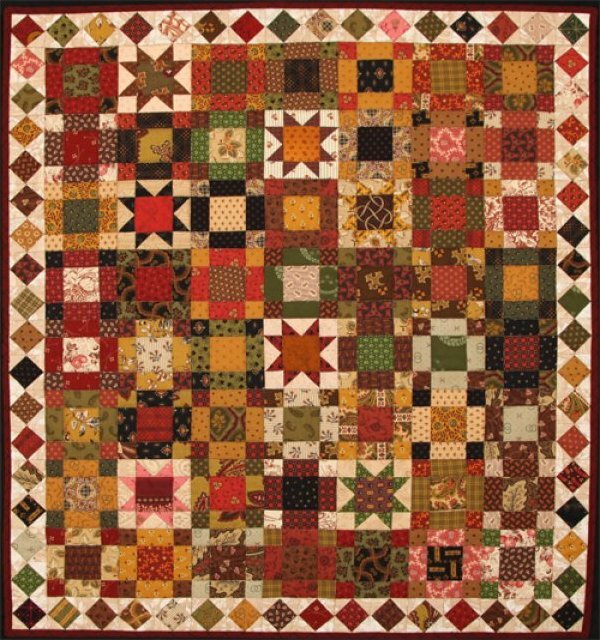 With the addition of just a few scattered stars it is perfect The small square-in-a-square border is achieved with paper piecing.